In Egypt's modern history, reform of personal status laws has often formed an integral part of political, cultural, and religious contestations among different factions of society. 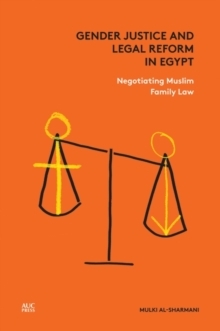 From the beginning of the twenty-first century, two significant reforms were introduced in Egyptian personal status laws: women's right to petition for no-fault judicial divorce law (khul') and the new mediation-based family courts.Legal Reform and Gender Justice examines the interplay between legal reform and gender norms and practices.  It examines the processes of advocating for, and contesting the khul' and new family courts laws, shedding light on the agendas and strategies of the various actors involved. It also examines the ways in which women and men have made use of these legal reforms; how judges and other court personnel have interpreted and implemented them; and how the reforms may have impacted women and men's understandings, expectations, and strategies when navigating marriage and spousal roles.Drawing on an extensive four-year field study, Al-Sharmani highlights the complexities and mixed impacts of legal reform, not only as a mechanism of claiming gender rights but also as a system of meanings that shape, destabilize, or transform gender norms and practices.